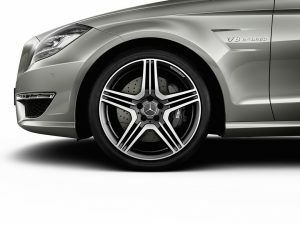 AMGmarket.com News: Daimler PR from Affalterbach – Exciting design, ultimate performance and groundbreaking efficiency: this is what the new Mercedes-Benz CLS 63 AMG is all about. The top-of-the-range version of the four-door coupé is equipped with the newly developed AMG V8 biturbo engine, featuring a peak output of up to 410 kW (557 hp) and 800 Nm of torque, as well as the AMG SPEEDSHIFT MCT 7-speed sports transmission.  On top of this, the vehicle’s fuel consumption of 9.9 litres per 100 km (NEDC) represents an improvement of 32 percent compared with the previous model (all figures provisional). Mercedes-Benz debuts the SLS AMG GT3 at the New York International Auto Show (April 2-11, 2010, Jacob Javits Center).Excerpts of a March 31, 2010 press release from Mercedes-Benz follows. Automobile fascination paired with spectacular race car design – that is the new Mercedes-Benz SLS AMG GT3. The racing version of the 2011 SLS AMG has been conceived as a customer sport vehicle for participation in race series based on FIA GT3 regulations. Meticulous lightweight construction and optimized chassis, brakes and aerodynamics deliver uncompromising dynamics. 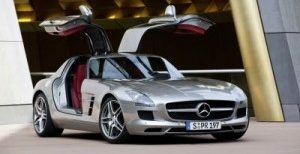 The extra special SLS AMG will make its race track debut in 2011. Automobile fascination paired with spectacular race car design – that is the new Mercedes-Benz SLS AMG GT3. The racing version of the SLS AMG has been conceived as a customer sport vehicle for participation in race series based on FIA GT3 regulations. Meticulous lightweight construction and optimized chassis, brakes and aerodynamics deliver uncompromising dynamics. 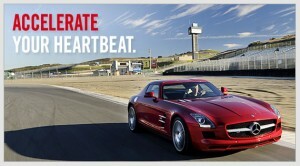 The extra special SLS AMG will make its race track debut in 2011.